The unparalleled mobility of the eco-friendly SEGWAY allows tour groups to glide safely along the pathways of Bend, providing a truly entertaining and unique sightseeing experience with extraordinary access to everything that Bend has to offer! 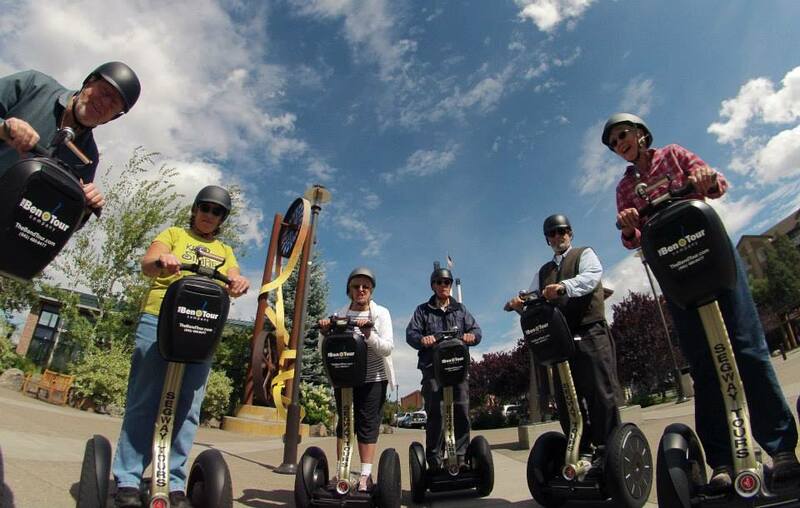 Our classic SEGWAY city tour is one of "the things to do in Bend". Discover all of the history sights, attractions and activities that Bend has to offer! Get ready to experience Bend from a truly unique perspective atop your own personal SEGWAY! Tour Bend and experience all the city sightseeing hot spots! See where the past meets the present in the city holding the future of Central Oregon on our SEGWAY City Sights Tour. This scenic and historic tour glides our guests around the pathways of Bend highlighting the sightseeing points of interest along the Deschutes River and in The Old Mill District, Downtown Bend, The West Side and beyond. 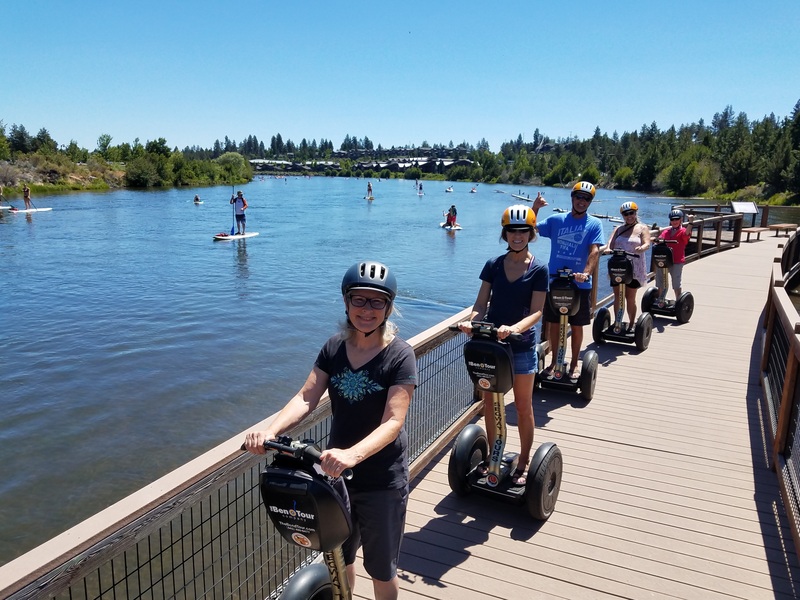 Our SEGWAY City Sights tours take our guests off Bend’s beaten paths to see and experience things even locals are amazed to find. See all that Bend has to offer on our classic SEGWAY City Sights Tour. Glide Bend! The most informative and highly entertaining tours of Bend, including all of the must-see sights, attractions, shops, eateries and breweries in town! 100% refund on all booked tours if your reservation is canceled more than 24 hours before your scheduled tour. Cancellations are accepted in writing (email or post), via phone or in person. SEGWAY tours are appropriate and available for anyone 16 YEARS OLD OR OLDER who successfully completes Bend Tour Company's SEGWAY orientation. - Guests must weigh between 80 and 280 pounds, be in reasonably good health and be able to stand in place for up to 2 hours. - Guests 16 to 18 years of age will need an adult (at least 25 years of age) to sign for them and glide with them on their tour. - SEGWAYS are not recommended for guests with some mobility or motor control issues. If you are concerned about mobility issues please call us to discuss. We want every rider to have a safe tour. - Guests must be able to easily and quickly step on and off the SEGWAY without assistance, which requires physical abilities similar to climbing and descending stairs without any assistance or use of a handrail.